2013. Reception of “Proud Koreans’ Award” from the Overseas Korean Journalists’ Association, one of six recipients of the awards and the only one in the Korean community in the U.S.
2012. Reception of the Honorable Mention Award (runner-up) in the Best Book Award from the Sociology of Religion Section of the American Sociological Association for his book Preserving Ethnicity through Religion in America: Korean Protestants and Indian Hindus across Generations. 1998. The Outstanding Book Award by the Section on Asia and Asian America of the American Sociological Association for Caught in the Middle: Korean Merchants in New York and Los Angeles. 1997. 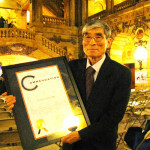 The National Book Award in Social Science by the Association for Asian American Studies for Caught in the Middle: Korean Merchants in New York and Los Angeles. 1997. 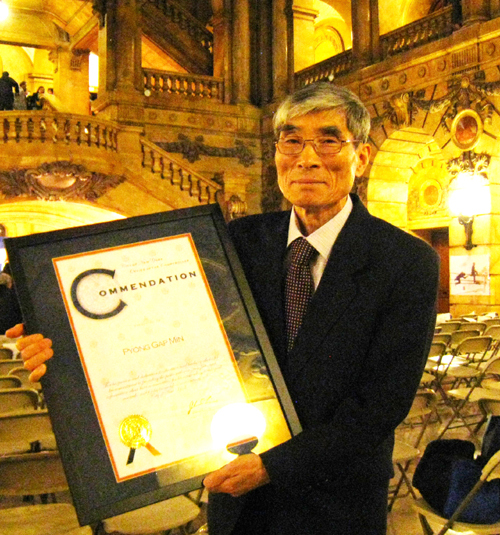 The Community Service-through-Research Award by the Korean Association of New York.